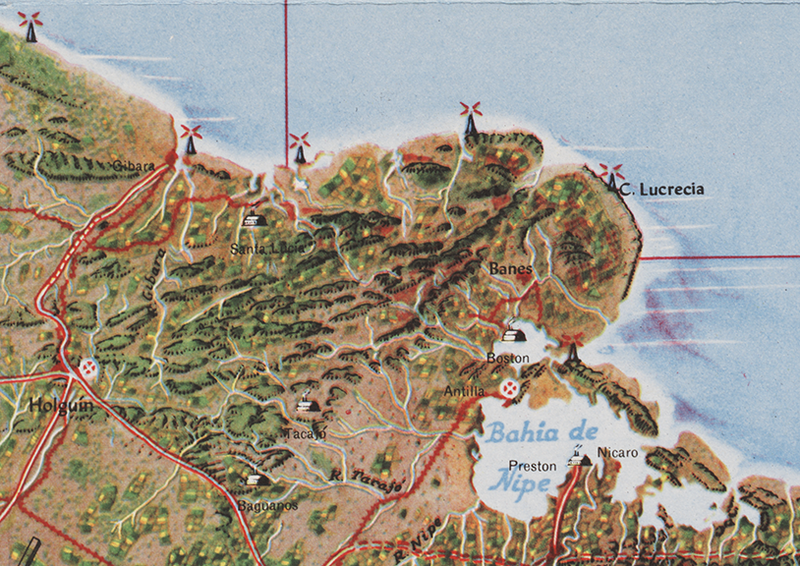 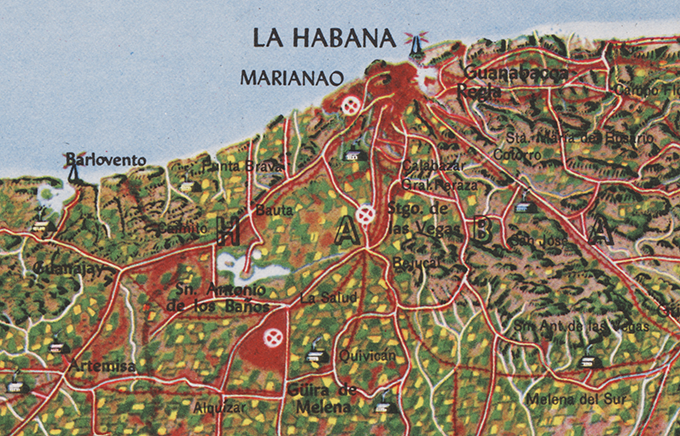 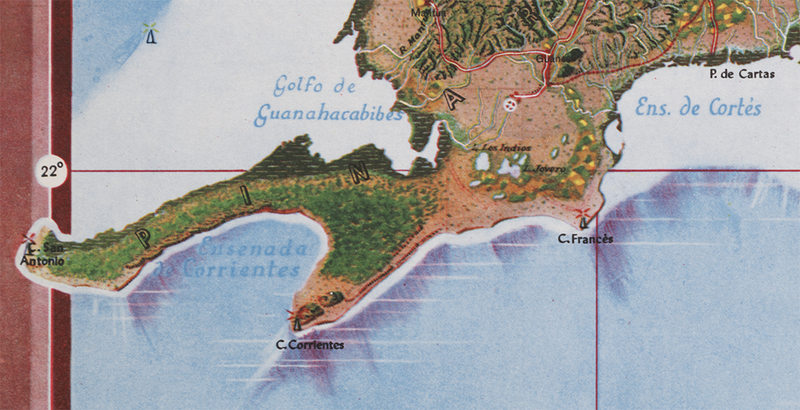 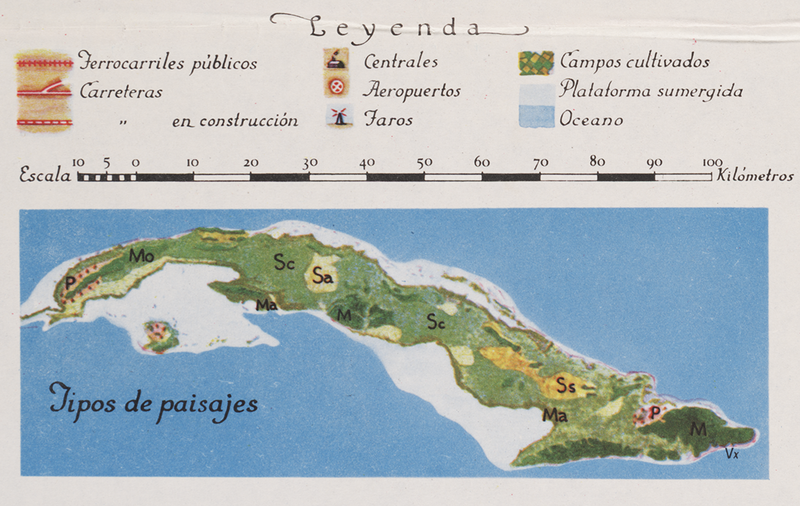 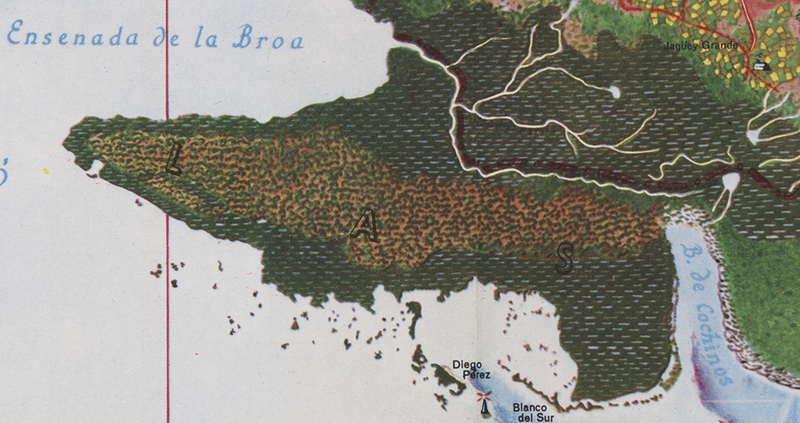 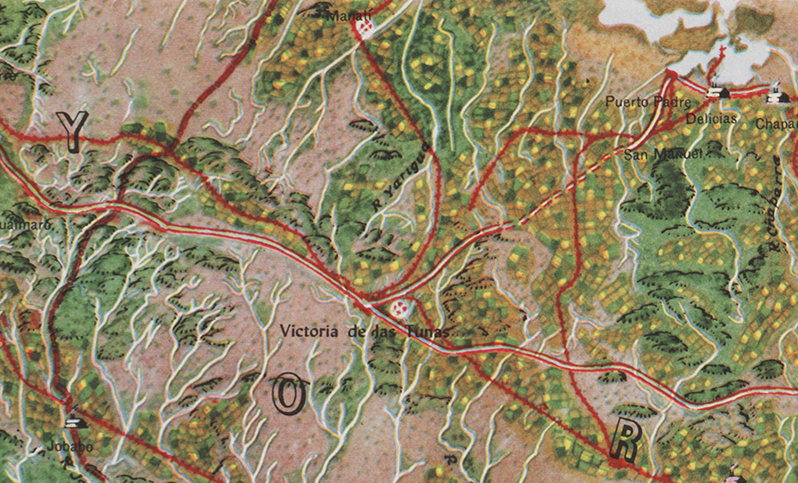 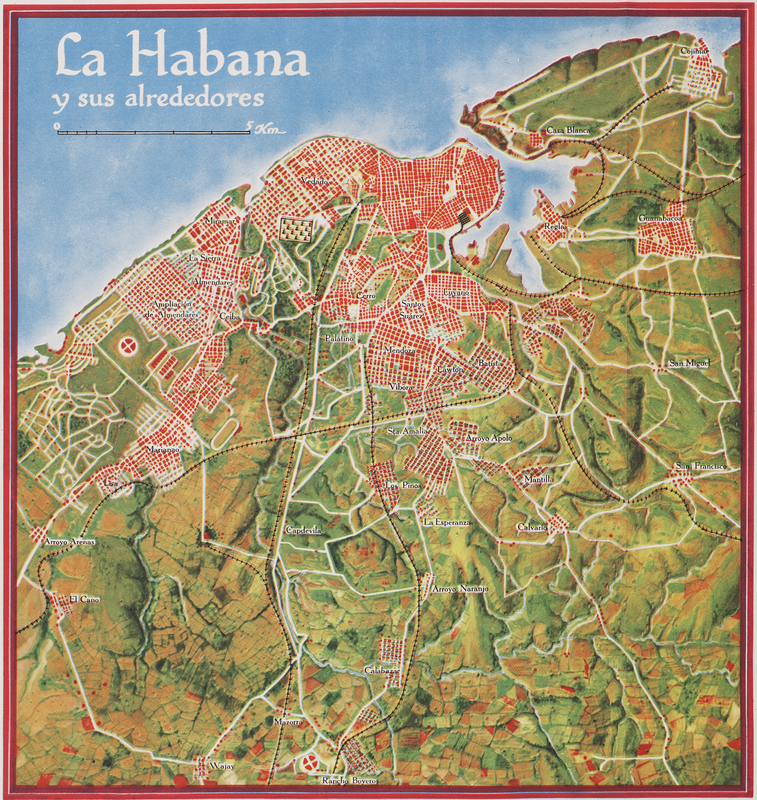 The accompanying map of Cuba is a new experiment in cartography. 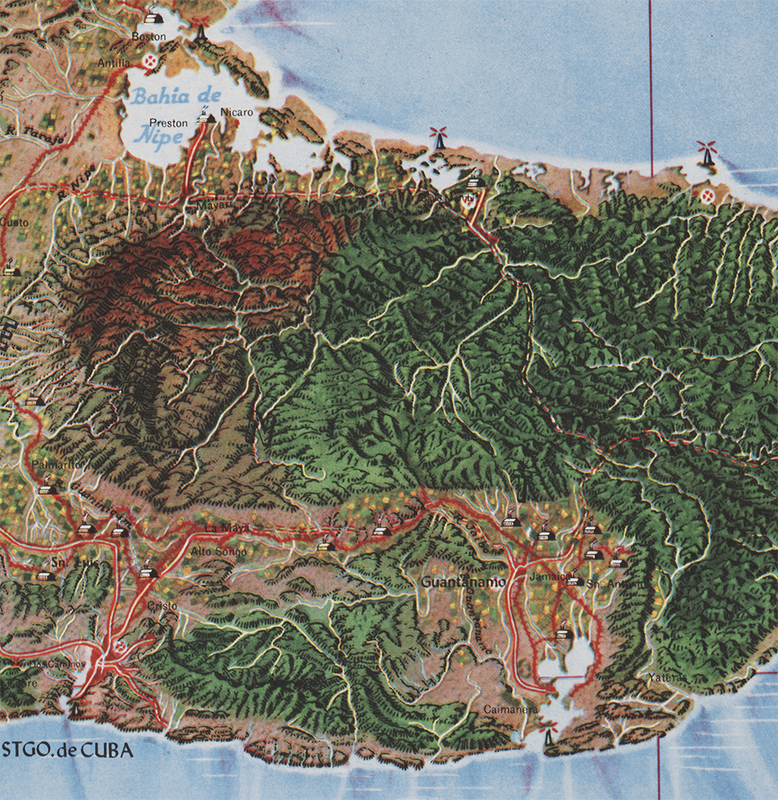 Color suggests land types: cultivated fields, pastures, mountains, swamps, valleys, etc. 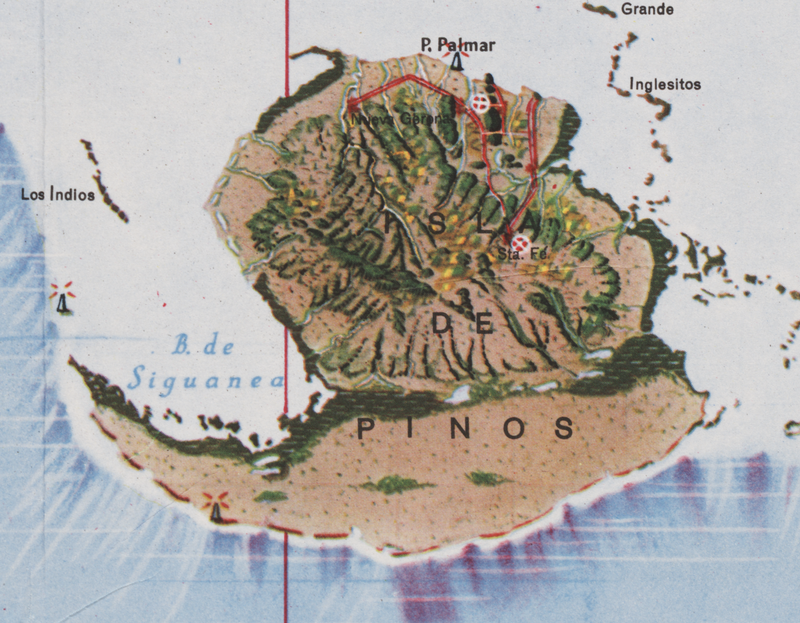 The symbols were selected after a series of flights over the Island and on analysis of numerous color photographs taken from the air It is expected that in this way the map will better reflect reality; more closely resembling on air view of the Island than the conventional maps we now have. 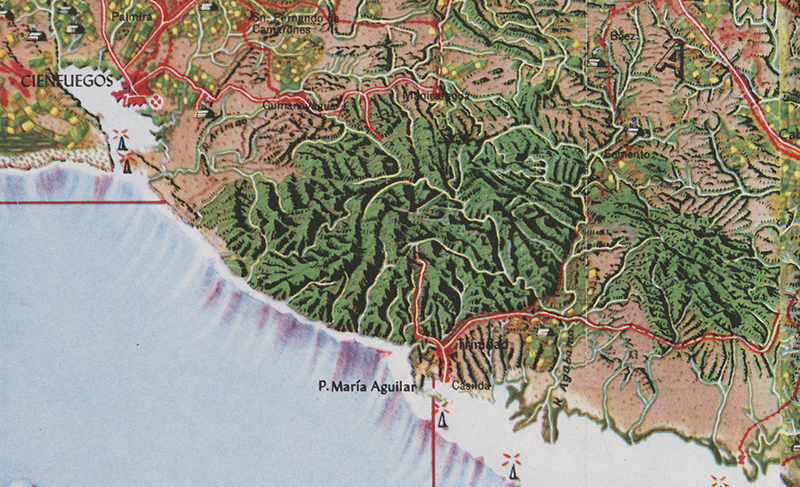 This approach is part of a tradition of natural or real color mapping combining terrain (in particular, shaded relief) with air imagery or map symbolization inspired by air imagery, an obvious outcome of aerial mapping in the early part of the 20th century. 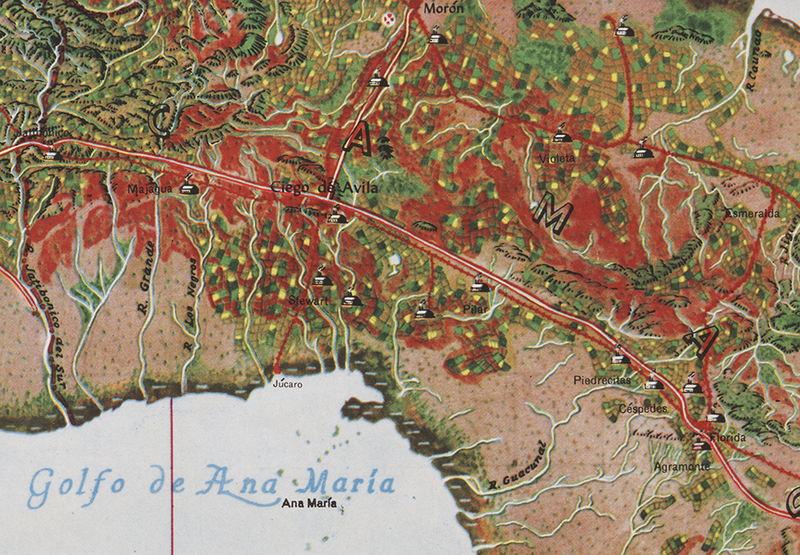 An article by Tom Patterson and Nathaniel Vaughn Kelso entitled Hal Shelton Revisited: Designing and Producing Natural-Color Maps with Satellite Land Cover Data (2004) delineates the author’s development of the Natural Earth data (shaded terrain + satellite land use data) in the context of earlier, related work by Hal Shelton, Eduard Imhof, Heinrich Berann, Richard Edes Harrison and Tibor Toth. 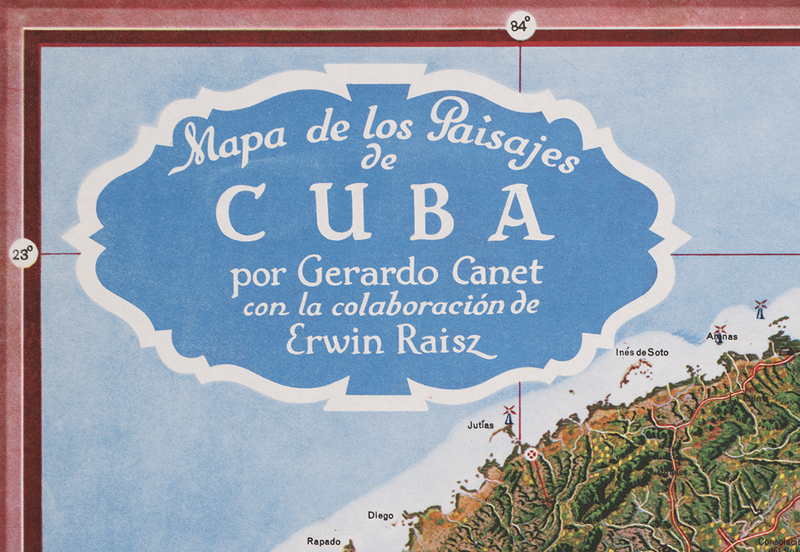 It seems that Raisz was also an innovator in this realm of air-imagery inspired map design. 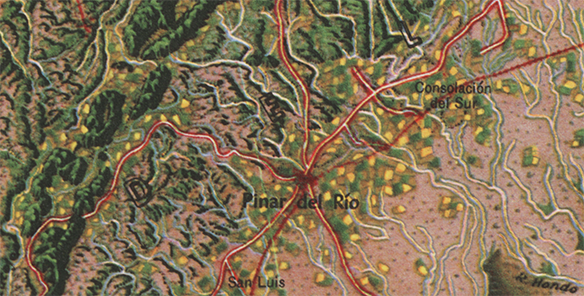 See also, at this blog, Raisz’s History of American Cartography Timelines, Map Symbols: Landforms & Terrain, and Raisz’s currently available landform maps at www.raiszmaps.com.